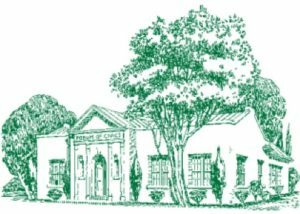 The purpose of River Oaks Garden Club is to restore, improve, and protect the quality of the environment through educational programs and action in the fields of conservation and civic improvement. 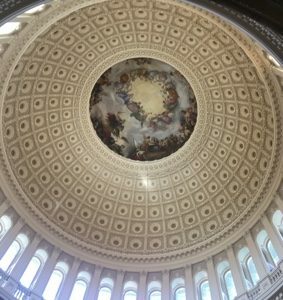 River Oaks Garden Club is also involved, in tandem with Garden Club of America, to bring to the attention of its members important legislative proposals in Texas and in Washington that affect the fields of conservation and civic improvement. 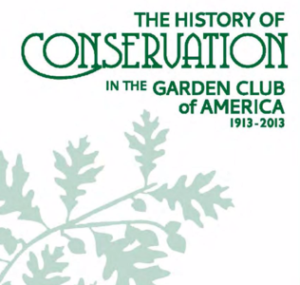 Conservation has always been a key part of what the Garden Club of America does. GCA was founded in 1913, and in 1914 a “Committee on Beautifying Settlement and Highways” was created. This committee evolved to be today’s National Legislative Affairs and Conservation Committee. In 1916, A Wild Flower Preservation Committee and The National Parks Committee were both formed. In the 1920’s educational exhibits were added to the International Flower Show in New York City and a conservation department was added to the Bulletin. It was also at this time that the GCA determined that individual member clubs should determine which specific activities to pursue. In the 1930’s it was determined that the conservation program should be a constructive one, and not simply a list of “Don’ts”. Some of the activities in which GCA clubs participated were growing wild flowers and trees, planting and encouraging the cultivation of Christmas greens rather than wild collection, cooperating with other conservation organizations, planting trees for the George Washington bi-centennial celebration, reforesting burnt- over areas and working for conservation legislation. In 1930, the GCA raised $91,634.13 from its own members to assist in purchasing a grove of Redwoods in Humboldt County, California, now known as the Garden Club of America Grove. 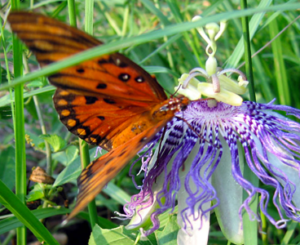 September 2017 – What we’re thinking about: Butterflies and the Bayou! May – June 2016 – How’s your compost doing? • Work to reduce industrial, municipal, and household waste and advocate the prevention of pollution of soil, air and water.